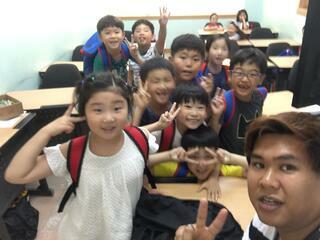 When applying to teach English in Korea through Aclipse, you initially will apply to teach for ChungDahm Institute. 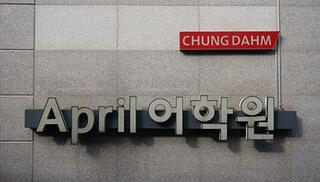 ChungDahm Institute is one of the most famous and well financed private after school academies in all of Korea. The students who come to ChungDahm pay some of the highest tuition rates per month and their parents are expecting to get their money’s worth with that price of tuition. But what many people do not know is that ChungDahm is a huge company. ChungDahm has hundreds of locations in Korea and have recently opened up in the markets of Vietnam and Japan. Not only is there ChungDahm (mother company), but there is also the i-Garten program, ChungDahm Chinese, and April Academy. This blog will help you differentiate between April Academy and ChungDahm Institute. April classes start earlier in the day than most ChungDahm classes. In these classes, we teach children from age 7 up to 5th or 6th grade aged students. Just like ChungDahm, when April students enter their level, they must take an entrance exam into the academy. This is how we coordinate our classes; we do it by the amount of English comprehension they have and not by their school grade level. Each class has their own touch screen television to have the class be more interactive with the students. The youngest group of children in the April Academy are called ‘Rookie’ students because they are just learning the alphabet and how to make sounds. I have taught this class and it has been rewarding watching students learn how to read right in front of your eyes. In this class, we also play different games with them and do art and crafts projects. The next level students are the ‘Seedbed’ students. Their reading is steadily improving, they are learning how to answer questions, and you can see that their English speaking fluency is getting better. With ‘Seedbed’ students, we read simple books to help them with reading comprehension, and sing and/or act to help them with their pronunciation. Afterwards are ‘Seed’ and ‘Sprout’ students. In these classes students are learning idioms, how to write complete sentences, and eventually they will learn how to write their own stories and essays. Finally, are the ‘Sapling’ and ‘Masters’ students. These students are preparing to enter the earliest stages of ChungDahm. In these levels they are learning how to formulate their own opinion and comfortably share it with others. For April Academy classes, students have reading and workbooks that they use in class. They also have lots of homework which includes chunkbook and writing notebooks (teacher grades), listening homework (teacher grades) and other homework that is to be completed online. It may seem like a lot on our part, but it really isn’t. Some teachers enjoy April because every lesson is pre-made for us (therefore not too much prep time) and the only thing that we grade is their homework. This is far different from ChungDahm. Once a student completes the April program, they then can begin taking ChungDahm classes. 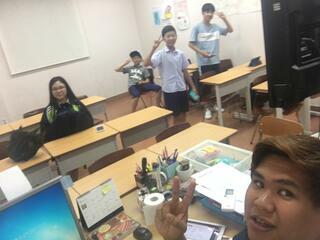 While some like teaching in April Academy because classes you get to leave work early, others like to teach ChungDahm because classes start later in the day. I teach both so I get the best of both worlds. Although ChungDahm teachers have no homework to grade, they are expected to prepare well for their classes. As the head instructor, I do expect my ChungDahm teachers to do a good job conveying information to their students. Each student is equipped with a Samsung, LG, or ChungDahm tablet where they will complete their homework and take to class for every lesson. There are roughly 9 levels of ChungDahm starting at Early Chip (continuance of building vocabulary and sentence structure) and up to Masters level (where they are expected to be able to analyze college level novels, debate using British Parliamentary, UN, or Asian Parliament style, and score over 100 points on the iBT Toefl exam). Students in the middle continue with either preparing for their Toefl Jr. exam or iBT Toefl exam. Not only do we focus on critical reading and listening skills, students are expected to improve their writing and speaking skills so that they can clearly convey their opinions. 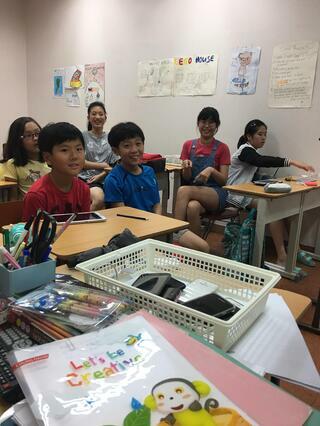 When students decide to go to specialized middle schools and high schools in Korea, many times the school request to see their English transcripts along with conducting written and verbal interviews using English. Students in ChungDahm have a much higher understanding using English than those in April academy, so these students tend to be on the older side. The normal age range runs from 3rd grade to 9th grade. This all may seem like a lot of information, but the best part is is that ChungDahm does quarterly training at their main branch to teach the methodology of each program. Also, the tablet holds all of the textbooks so teachers do not need to create their own material. ChungDahm even provides guidebooks for our classes that shows teachers what type of questions to ask students and what videos to watch. Finally, ChungDahm also provides training for both April and ChungDahm teachers upon their arrival in Korea to ensure they are ready to teach on their first day regardless of their prior teaching experience. 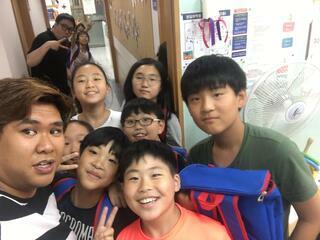 If you are interested in teaching the youth of Korea, you have your options of where you think you can make a positive impact in their lives. Each program at ChungDahm has their pros and cons, but one thing that is constant between both programs is that teachers must be well prepared, engaged with their students, friendly, and energetic. This makes an effective teacher. So when applying through Aclipse, make sure to let your recruiter know which part of the ChungDahm family fits best for you. Marc Gonzales has been living in Seoul working at the ChungDahm's Gangdong Branch for 5 years now. During those 5 years, he worked his way up from being a teacher and is now a faculty manager for that location. He majored in Finance and Marketing at the University of Nevada Las Vegas while working as a manager for a national bank. In his spare time, he enjoys outdoor activities like hiking the numerous mountains around Seoul and biking along the massive Han River. To know more about him and his adventures living in Korea, follow Marc on Twitter @geonmakku and on Instagram @geonmakku.